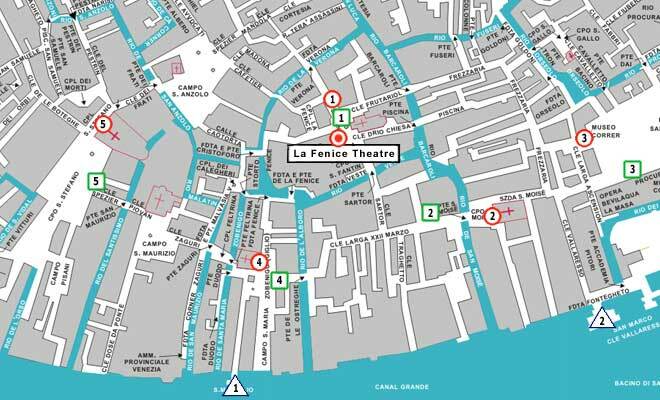 Venice Hotels Guide See Fenice Theatre on the interactive Map of veniceXplorer. 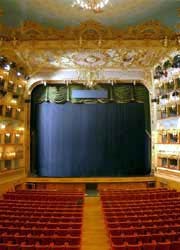 On 1st November 1789 a competition was announced to construct the Fenice Theatre. After long debate on nomination, Giannantonio Selva was selected to build the theatre. The theatre, with exemplary rapidity, was completed in April 1792. On 16 May it was officially inaugurated with the musical drama “I Giuochi d'Agrigento” by the famous Giovanni Paisiello on the libretto by Count Alessandro Pepoli. The new theatre immediately took on a position of absolute prominence in the lagoon city. The theatre was destroyed by fire on 13 December 1836. But it was swiftly rebuilt. 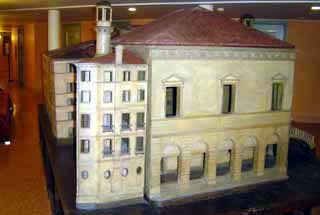 On 26th December 1837 it was inaugurated with a performance of the opera Rosmunda in Ravenna by Giuseppe Lillo, along with the ballet, Il ratto delle venete donzelle by Antonio Cortesi. 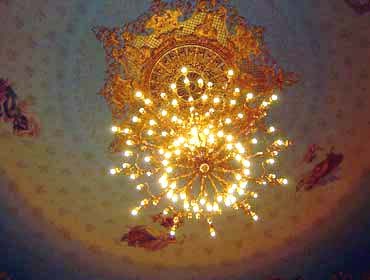 While Selva's original theatre was designed to host both drama and musical works, the restoration carried out by Tommaso and Giambattista Meduna after the fire privileged the musical function. In addition to reconstructing the interior, the two engineer-architects also took in hand the decorations, providing indications for the foyer and the Sale Apollinee, which had been spared by the flames. On 29th January 1996 the theatre was again destroyed by a devastating fire, and temporarily closed for maintenance work. 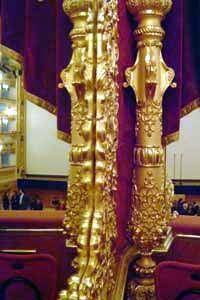 The restoration was completed on 8th December 2003 when the theatre is handed back to the Municipality of Venice and La Fenice Theatre foundation. The fire and reconstruction of the theatre are far from being a clear affaire, becoming an example of the corruption of the Venetian Public Administration, see this article. To celebrate the re-opening of the historical Theatre, the Teatro La Fenice Foundation and the Municipality of Venice, in association with the Region of Veneto, organised a week, from 14th to 21st December 2003, of musical events in the new Fenice. Fenice Theatre PDF printable Version.